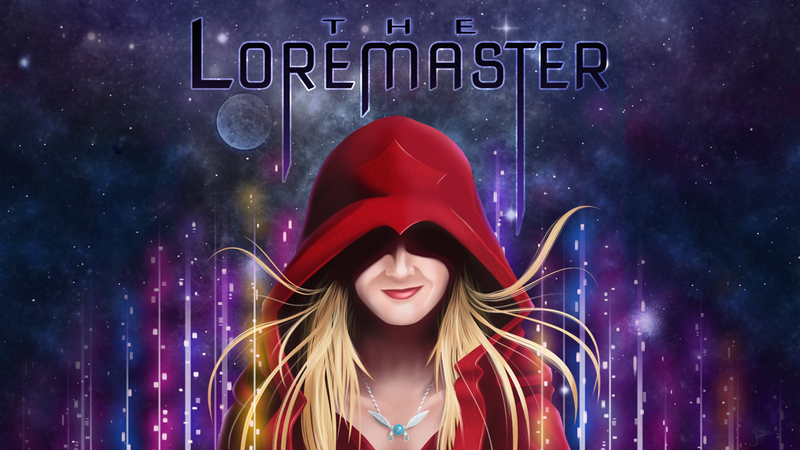 The video title card and iTunes album art for The Loremaster, an upcoming podcast from Jocelyn Moffett. If you're into gaming and love the history, science and stories that make up the worlds you play in, this is show is going to be right up your alley. 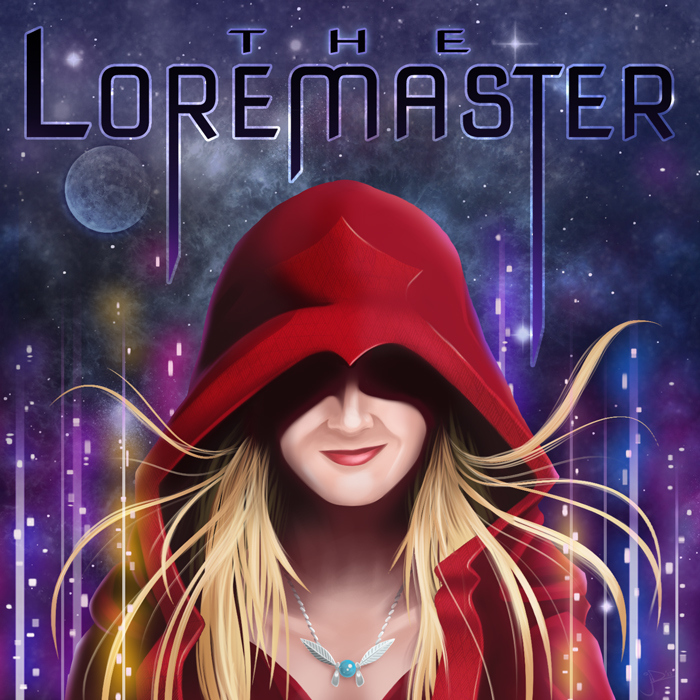 Jocelyn had a clear vision of an image with a mix of sci-fi and fantasy to tie together the majority of the games she will be covering on her show.